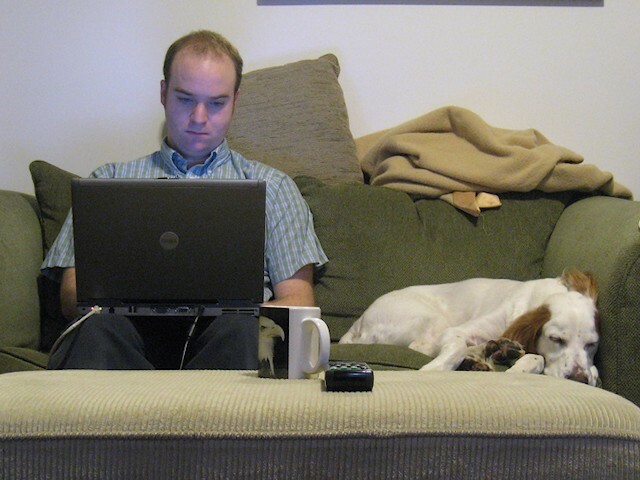 Do teleworking employees have higher productivity? (MoneyWatch) COMMENTARY Telework programs go by a variety of names -- remote and telecommuting being the most common -- and they're growing more common all the time. Even so, there are many managers who look on such initiatives with skepticism. I've spoken to any number of managers, for example, who cite such truisms as "out of sight, out of mind," to suggest that knowledge workers will invariably be less productive when they're physically separated from their manager. But is it true? Probably not. Take Scott Edinger at the Harvard Business Review, for example. He contend that remote workers are more engaged and productive than on-site employees, not less. Proximity breeds complacency. Quite the opposite of "out of sight, out of mind," he suggests that when managers and reports work too closely, they have lots of face time with very little substantive communication. Bottom line: If communication is too easy, it just gets taken for granted. Working remotely makes people try harder to connect with one another. Most leaders, he says, make an extra effort to stay connected to people who are physically remote. Physically separated people and teams maximize the time they spend together. A corollary to some of the other rules, Edinger says that teams who generally work apart make the best use of their limited time together. Not only to they go out of their way to be productive in the office when situations arise, they spend more time together socially, which helps team bonding. Virtual teams make better use of tools. When everyone is in the same room, it's relatively easy to make do with half-baked solutions. But remote teams optimize their use of videoconferencing, IM, telephone, and even go out of their way to develop and use automated software tools for tracking and managing data. They are far more efficient than similar, on-site teams.